Right before winter break, the North Shore High School PTO sponsored the second annual Cocoa & Cookies celebration for everyone including students, faculty, and staff to enjoy. 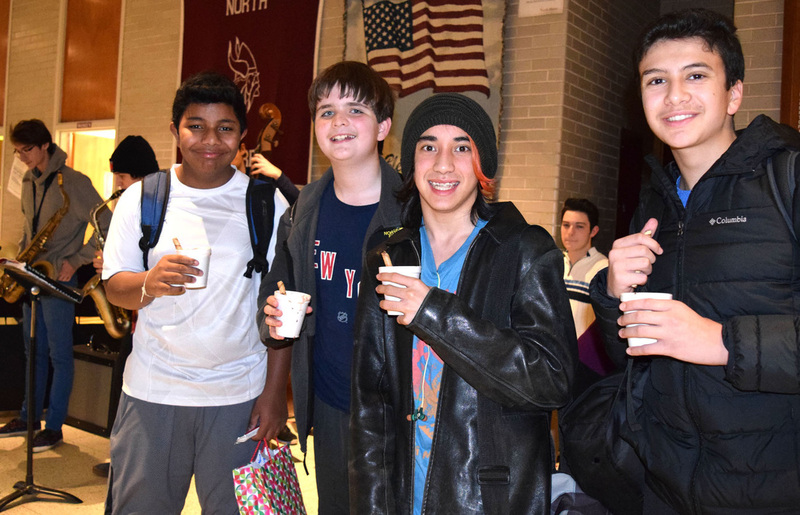 As the end of the school day, the PTO set up decorative tables containing cups of hot chocolate and various sweets in front of the auditorium doors and encouraged everyone to come enjoy a delicious treat. Additionally, they generously offered a toppings bar filled with marshmallows, chocolate chips, sprinkles, cookies, and much more! Many students and teachers walked away with big smiles and said that this was a fun way to begin the holidays and celebrate the season. Most would agree that the cookies were delicious and the toppings made it even more special! But, that’s not all! 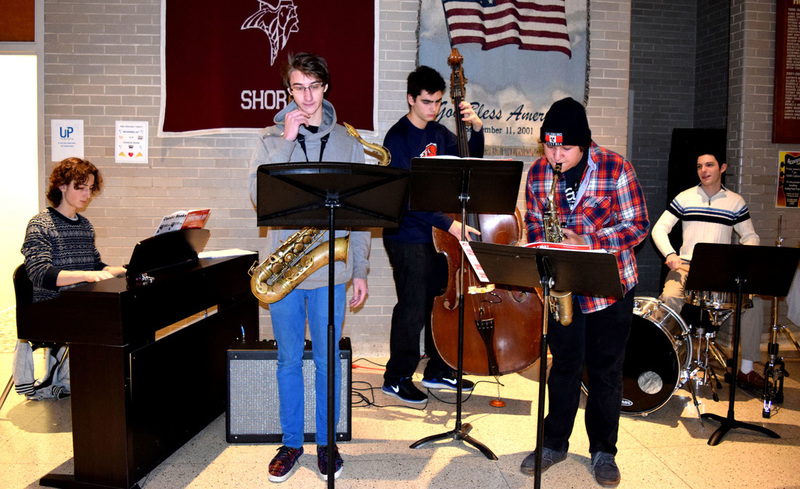 Beautiful music could be heard throughout the high school halls thanks to the High School Jazz Quintet! Many thanks to all of the PTO members and the jazz musicians who made this celebration such a delicious and special holiday treat for everyone at North Shore High School! Photo Caption: Article and photos by Shelly Newman Pictured are the North Shore High School PTO serving cocoa and cookies to students at North Shore High School.